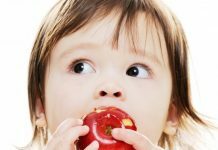 The preschool phase in a child’s life plays a significant role in their growth and development. It allows the child to be exposed to preschool activities such as identifying shapes, colors, letters, music, and many other activities that are beneficial to their future. 1. Preschool programs maximize the phase of the child’s growing brain where it is like a sponge for learning, and as it rapidly develops. 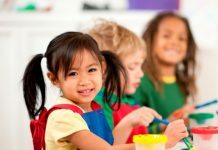 During preschool, this is the right time to instill social and academic skills into a child that will help them during kindergarten and beyond. 2. They come out having richer vocabularies and better reading skills. 3. 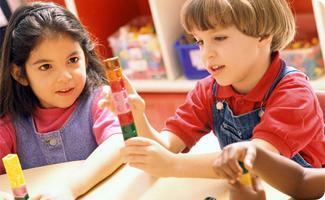 Preschool activities also equip the child with good math skills. 4. Through classroom activities, the child will learn how to speak up, raise their hand, and take turns with other students. This will also provide the child with improved self-confidence and self-esteem, making them more familiar in the world around them rather than afraid of it. 5. Socialization is another important benefit, because the methods and activities involved engage the students to interact with one another, share thoughts, ideas, learn, and have fun all while doing so. 6. Important life skills such as problem solving are another added benefit your child will get from preschool activities. 7. By the time your child enters kindergarten, preschool would have equipped them with the skills necessary to learn and evolve to a different environment where they will continue to learn, socialize, and adapt in more challenging situations. 8. 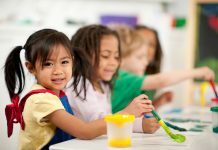 Studies have also shown that children engaged in preschool activities are less likely to need public assistance when they enter adulthood, and are more capable of achievement and self-dependence. 9. Children who benefit from preschool activities are also more likely to graduate from high school and enter college. •	And less likely to be involved with crime. 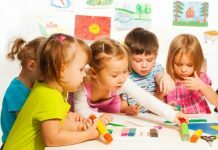 The undeniable growing evidence of the importance of preschool activities has seen a rise in enrollment. It is a crucial point in time for a child to be developed and grow, so that they can lead good lives in family, their social circle, and society. The fundamentals learned and achieved during this fragile time in a child’s life helps them to cope better with the challenges and obstacles that life brings, and allowing them to make more well-informed and better decisions for themselves and the people around them. Preschool activities will also enable the parent to focus on family, while the school takes care of the rest. Next articleWhat Is Suitable TV Viewing For Older Kids?